Everything is perishing except the One face. Mawlana Shaykh Muhammad Hisham Kabbani is an internationally renowned spiritual Master, having spent his life spreading the Sufi teachings of love, peace, tolerance and respect. 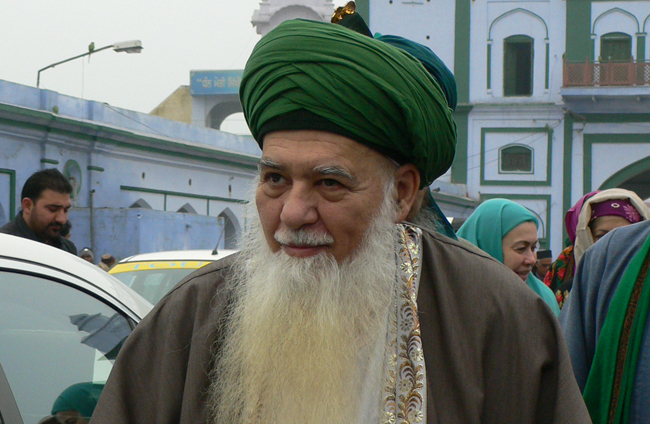 He is a living representative of the Naqshbandi Shaykhs of the Golden Chain and is the global leader of the Naqshbandiyya Nazimiyya Sufi Order. After over fifty years of training with the greatest Saints of his time, he is a Sufi Shaykh of the highest degree. Shaykh Hisham descends from the Prophet Muhammad from both his parents, through both the Hasani and Husayni sides. Raised in a prominent religious family in Lebanon, that has included the Grand Mufti of Lebanon and the Head of the Association of Muslim Scholars, Shaykh Hisham became a pupil of Shaykh Abdullah ad-Daghestani as a boy and after Shaykh Abdullah’s death, became the pupil of Mawlana Shaykh Nazim. Both of these great Shaykhs appointed Shaykh Hisham as their deputy, with the approval to guide students. 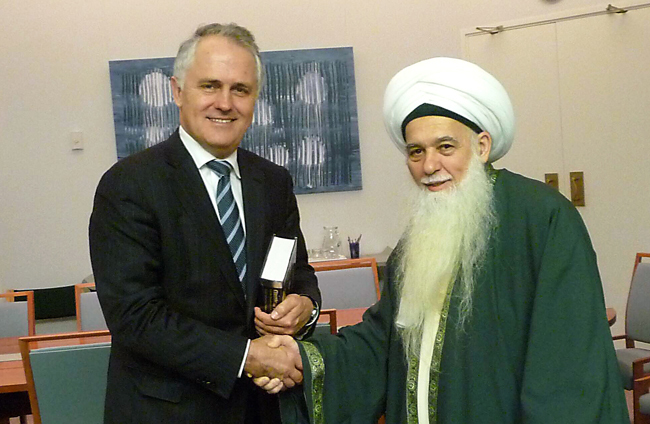 Consequently he has a vast knowledge of both the religion of Islam and the path of the Sufi traveller. He graduated with a BA in Chemistry from the American University in Beirut and then went to Louvain in Belgium to continue his medical studies. He later received his Islamic Law degree in Damascus. Shaykh Hisham was ordered by Mawlana Shaykh Nazim to move to the USA in 1991 to spread the Sufi teachings of the brotherhood and sisterhood of humanity. His efforts are directed at bringing the diverse spectrum of religious and spiritual paths into harmony and accord, in recognition of humanity’s responsibility as caretaker of this fragile planet and of one another. Since moving to the USA, Shaykh Hisham has been the Chairman of the Islamic Supreme Council of America, has organised major international Islamic Conferences and lectured at some of the most important American Universities including Yale. He has initiated and opened scores of Sufi Centres throughout the USA and Canada. His long term courageous efforts to eradicate terrorism have been lauded by the US Congress, foreign policy makers, security advisors, religious leaders and community activists around the world. He has met many prominent world leaders and often been asked to advise them. In 2010 he hosted HRH Charles Prince of Wales at a cultural event that showcased Sufi arts. Mawlana is the author of some landmark Sufi books that have helped to bring the details of the Naqshbandi Sufi way to the West. He is constantly travelling throughout the world to convey the Sufi message of love and peace. He continues to organize charities around the world that feed the poor, relieve suffering in areas of natural disaster and provide for orphans. Mawlana Shaykh Hisham married Shaykh Nazim’s daughter Hajjah Naziha, later having four children and now having many grand children. Shakyh Hisham serves as a Guide to millions of followers around the world. He has been responsible for the opening of nearly one hundred Sufi Centres in Indonesia alone. As a complete Sufi Shaykh, Shaykh Hisham has been given the authority and permission to guide his followers to the Love of God and to the stations to which they have been destined by their Creator. His arduous spiritual training of over fifty years at the hands of his Grandshaykh and Shaykh has endowed him with the sublime qualities of wisdom, light, intellect and compassion, necessary for a true Master of the Path.